If you sell products online, whether as a full time business or as a sideline, then signing up for the Amazon Seller Account can be an extremely good commercial move. Amongst many benefits, you’ll gain immediate access to a huge potential market of existing Amazon customers. You can also leverage the Amazon brand reputation to help overcome one of the biggest hurdles to selling online – earning customer trust. The snag to this, and it’s a major one, is that Amazon will require, when you sign up, a credit card number… with a valid US billing address. For sellers located outside the USA, this may present a certain problem. Our service offers an easy and cost effective way to get around this difficulty. By setting up your own US corporation, you will establish a legal US identity that will enable you to legally open a business account with a major American bank, and so get the vital US-based credit card Amazon requires you to have. Forming a corporation in a different country might seem like a major decision to take, but in reality, with our guidance, it can be more possible than you might think. We have long experience that will help get your Amazon Seller Account up and running. Incorporation opens many commercial doors apart from an Amazon Seller Account including greater brand trust and personal asset protection. For businesses that want to sell their goods on Amazon, it makes it possible to open a US bank account and get a credit card. 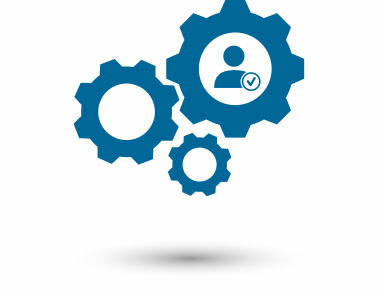 We make it easy to do exactly this, taking care of all the details and legal requirements along the way. We take all the difficulty out of incorporation for overseas residents with our Delaware ‘Express International Package’. With this option, you’ll find yourself the owner of a fully legal, entirely legitimate USA corporation able to make use of all the benefits this provides – and all within just two or three business days of application. 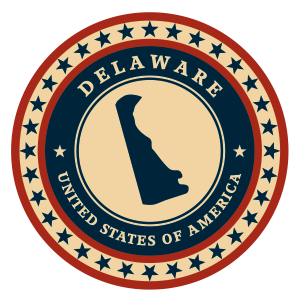 Why Choose Delaware to Incorporate In? Delaware is far and away the most popular American state for incorporation, with nearly 50% of publicly traded companies domiciled there. It offers a low-cost, business-friendly environment with a more efficient judiciary than most other states. Crucially, to set up a Delaware LLC there is no requirement for you to have personal residency in the United States, and the corporation itself need not have an office or staff in Delaware, or indeed actually conduct business there. A single person (such as you) can hold all the legally required posts in the company, namely Director, Officer; and you may be the sole shareholder. Finally, there are no minimum capital requirements when setting up your company. All of this makes it ideal for an overseas citizen wishing to become a legal USA business entity and sign up to the Amazon program. Our Express International incorporation package includes everything you need for setting up your corporate presence in the USA, including all legal documentation, the completion and registration of all forms, the payment of necessary fees, and a starter corporate kit with business seal, sample bylaws and board meetings. We handle everything for you from beginning to end, and have done this for thousands of clients already. We require nothing from you other than your basic personal details, your desired business details, and our modest fee of $449. If you want to open an Amazon Seller Account, having a USA-registered LLC is only half the story – you’ll also need a US credit card account with a valid US billing address, and this can only be obtained by opening a US bank account. We can also help you with this. Keep in mind that an internationally-chargeable credit card with a valid billing address [if the credit card number isn’t valid, Amazon will cancel your registration] is required in order to apply for an Amazon Seller Account. Two forms of valid, current photo identification, one of which must be a certified passport. Proof of your home address, for example a recent utility bill or letter from a government organization. Remember, this doesn’t have to show a US address! Proof of a currently active bank account in your home country, such as a statement or other bank communication. A letter from your bank, stating that your account is open, in good standing, and has no issues. An address of a fully functional website for your business. A brief but accurate description of your business activities, current and proposed. We will use these details to complete your application form and present it to the bank with all the necessary supporting documentation. We aim to have your bank account open and fully functional within about a business week of your Delaware company being registered (and after the EIN is obtained,) and for this we will charge a fee of $850, which excludes the opening deposit of $100 to be paid into the new bank account. We do everything necessary to set up your corporation, but there will of course be ongoing requirements that will need to be met further down the line – but don’t worry, we can also help you going forward with any legal or regulatory aspect of running your LLC, so please don’t hesitate to contact us if you’d like more information about any of our services, or if we can help you in any way.